As expected, Nokia has re-introduced its iconic 3310 mobile phone during its MWC presentation. The Nokia 3310 mobile phone has been revamped for 2017 with a colour screen, a 2MP camera on the back, a microSD card slot, and more - while retaining the fabled "awesome battery life". Nokia / HMD also announced some Android smartphones and talked again about its OZO VR camera (which it used to film the whole MWC presentation (Nokia 3310 unveil starts at 1hr 11mins). Nokia hasn't just restarted the production line for the old 3310, if that would even be possible. 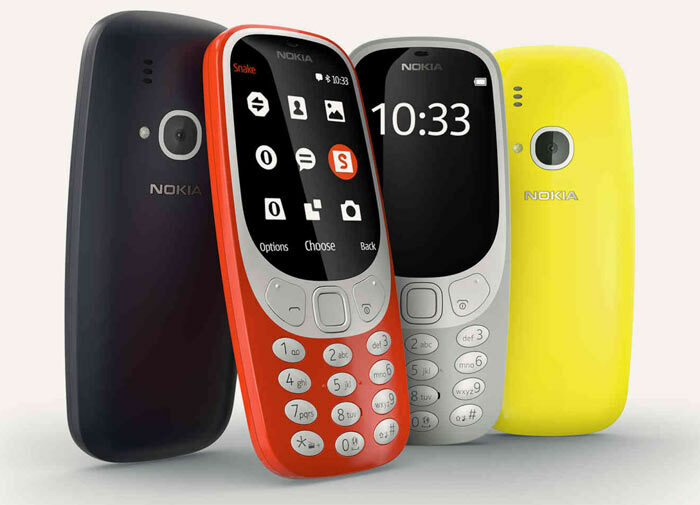 The new Nokia 3310 is a warm homage to the old mobile sharing its curvy fun design and signature styling but updating it for 2017. Probably the biggest change to hit you, when comparing old and new, is the 'big' colour screen on the 2017 edition. Keeping the same shapes within the shape Nokia / HMD has used the top area once shared by screen and speaker with the new 2.4-inch QVGA colour screen. Below this the physical trio of buttons reside but are now symmetrical. The keypad below is little changed except to provide slightly larger keys. The last thing about the appearance but also a big change is the eye catching range of colours the new phone is available in. Size and shape is roughly the same as you can see in my composite picture, above. The only major change is the new handset is significantly slimmed down from 22mm to 12.8mm. With that comes a significant reduction in mass, as you can see below. Battery: Removable 1200mAh battery for claimed 31 day standby time, 22 hour talk time, 51 hour MP3 playback time. Not mentioned in the raw specs above is that Nokia HMD have added a polarising layer to the colour screen to help make it clear and readable in sunlight. 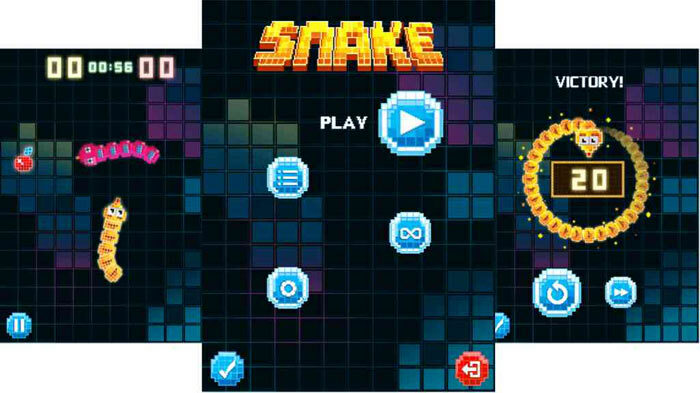 Another important aspect for this phone - the Snake game - has also undergone a revamp. Gameloft has reworked the game for full colour smooth animation. The new Nokia 3310 will retail for €49. Availability is yet to be announced. In other Nokia / HMD news from MWC, the mid range Nokia 3 and Nokia 5 Android handsets were launched to join the Nokia 6. This will be ideal for companies who want to give employee's a very basic phone. I'ts the sort of thing my company hands out. It's still just 2G but has a colour screen, 2MP camera, microSD slot, and “awesome battery”. Seems to me they're still missing the point for a phone like this. Ditch the colour screen, ditch the camera and ditch the microSD slot and cut the price, and I'm in. All I want from a phone is to make calls, receive calls, have good audio quality (for the calls, not an MP3 player, which they can also ditch along with the audio jack). Oh, a couple of dozen memories is good, too. In other words, all I want from a phone is that it be a phone.